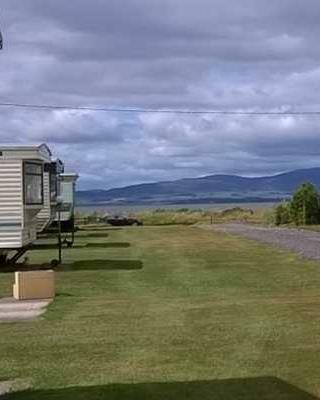 This page provides information for our Caravan owners. The Park is open all 12 months of the year. To protect against frost damage draining of your caravan is necessery. This service is booked by paying the current charge along with your September invoice. It includes a drain off in November and reconnection with testing on your return - seven days notice required. Please note that if you have central heating in your caravan this is not part of the winter drain service. It is filled with antifreeze and normally requires no action - however we advise antifreeze levels to be checked at 5 year intervals or if there is a doubt of the antifreeze content. Please contact us if you would like your antifreeze tested/topped up (a small charge will apply) Washing machines & Dishwashers are not part of our winter drain service, you will need to make alternative arrangements to protect these appliances. All gas to be paid for at the time of ordering. Please place orders at Spring Lea Leisure Centre reception or Book online. We provide an arrangement of insurance service. Please contact us for a competitive quote. All our policys expire at the end of September and are invited for renewal at the beginning of September. Owners are welcome to use the facilities at Spring Lea Holiday Centre, they are available from March until 1st November. Tokens are on sale in the Leisure Centre. Electricity is metered, invoiced in September.